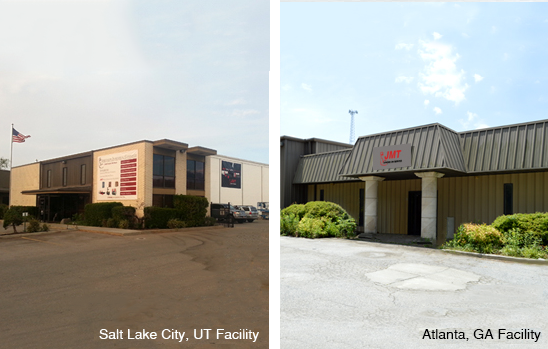 JMT began making our mark in the metal fabrication world half a century ago when we established a prominent organization in 1967 marketing, selling, servicing and supporting metalworking equipment and material handling products in the Intermountain West. Wanting to offer our customers a more flexible and higher quality line of machine tools to meet their most exacting needs, we extensively researched and then approached the finest producers of metal fabrication equipment around the globe – including the world’s largest volume manufacturer of press brakes and plate rolls – to build machines to our specifications under the JMT label. Expanding outward from our western base of operations (where we maintain a 30,000 square foot training & machine demonstration showroom & warehouse), we now have dozens of qualified JMT dealers across the country, regional sales managers and service personnel to work in each section of the U.S., and we have established a complete service center and 50,000 square foot warehouse in Atlanta to better assist our customers in the Eastern United States. We are currently adding a facility in the Midwest as well. 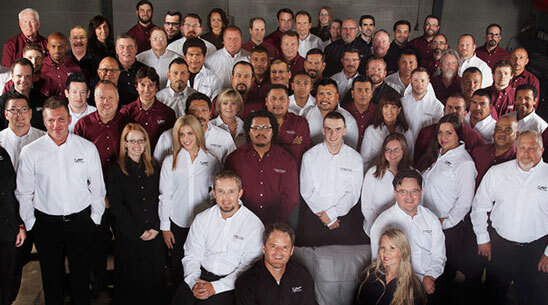 A family owned and operated business, JMT is just one division among several that all serve industrial industry needs in North America, including a nationally recognized school locker sales & installation division and operations designing, consulting & selling shelving, warehousing and other material handling equipment systems. Our metal fabrication line is ever expanding, offering quality machinery for a wide range of sheet metal and structural steel working applications that include bending, cutting, drilling, positioning, punching, shearing and weld positioning. We know that precision high production machines are a long term investment, which is why we stand by our products long after the sale goes through. JMT’s team of Service technicians are trained specialists available to answer your call, be on the scene at a moments notice to keep you up and running and to provide machinery calibration, installation, repairs, upgrades, maintenance and more. Our parts department is fully stocked and ready to support all parts and tooling needs for our full line of JMT metal fabrication machines. 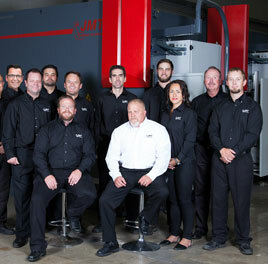 JMT is an organization of energetic, talented and knowledgeable industry experts that are dedicated to fulfilling their motto “Strong on Service,” whether it is in providing top of the line products, expert consultation, servicing your machine tools in a time of need or providing quality customer service to you and your shop or production staff. We are standing by to help you get more out of your metal. Give JMT the opportunity to show what our quality tools & services can do for you and your businesses success today and beyond.